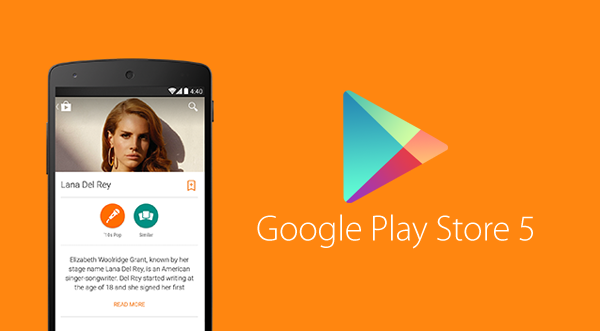 Play Store on Google is what adds color to our Android devices. With the nearly limitless amounts of apps there are at the disposal of users at Google’s app repository, there’s a guarantee of you finding a new app every time you search for something. Plus, coupled with regular updates and new apps being added, developers are continuously thinking of new and improved ways to further enhance our smartphone experience. Google’s hard at work too with Play Store being updated as regularly as the software giant can manage it seems. With the launch of Android L, Google changed the operating system’s interface in a significant manner. Android L came with Material Design on board, that gave it a more modernistic and simplified look. But Material Design wasn’t going to be limited only to Android L. Alongside the operating system update, came a brand new Play Store, that featured a similar design interface. Play Store 5 came with Material Design on board, and saw changes being made to several features. These include a much more flatter look for its icon coupled with changes to other icons, menus and drawers, all of which received the Material Design look. Widget suggestion and other icons also received changes, with Play Store becoming more modern and advanced. Google’s been hard at work at releasing updates for Play Store as well, with Play Store 5.5.8 becoming available only four days back. Well, it was a short lived update it seems as today, you can download and install Play Store 5.5.9 for your Android device. Google’s update is here and rather than wait for it to become available on your device, it’s much easier to download from the APK at the bottom of this post. So download and install Play Store 5.5.9 and let us know what you think in the comments section.